The Heptones were perhaps the most successful vocal group to emerge from Studio One in the Rocksteady years. Why Must I dates from 1967 and while it’s not one of their biggest tunes the melancholy lead by Leroy Sibbles and exquisite backing from Barry Llewellyn and Earl Morgan make this a minor masterpiece all the same. Why Must I is currently available on the Studio One CD Heptones – Fattie Fattie (SOCD 9002) which is basically a reissue of the groups debut album, originally titled The Heptones, with a couple of bonus tracks. Yet more soulful harmonies of the highest order. 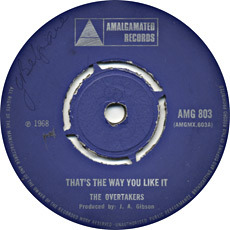 This time from the Overtakers, a trio lead by Leo Graham. The Overtakers only recorded a handful of sides, firstly for Lloyd Daley before moving on to Joe Gibbs. After they split in 1968 Leo Graham went on to record with the Bleechers from 1969 before experiencing further success as a solo artist in the mid 70’s. That’s The Way You Like It is available on the Trojan Records CD – Joe Gibbs Mood (CDTRL394). 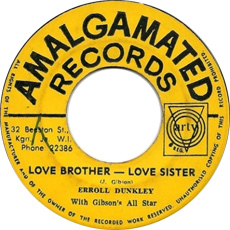 More from Joe Gibbs, this time one of the earliest recordings from a youthful Errol Dunkley. 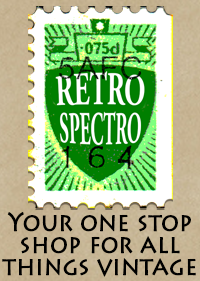 Issued on both Green and Orange Amalgamated labels in Jamaica and on Trojans Amalgamated subsidiary in the UK. This was originally recoded by Barbara Lynn as You’re Going To Need Me in 1962. Dunkley went on to have further hits with Gibbs with Please Stop Your Lying and The Scorcher among others before leaving the Gibbs’ camp in late ’68. 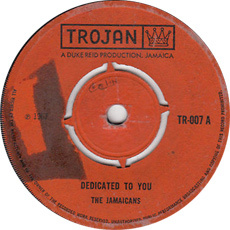 You Gonna Need Me was previously available on the Trojan Records CD – Get On Up – Joe Gibbs Rocksteady (CDTRL390) but this now appears to be deleted. Effortlessly cool as only Treasure Isle Rocksteady could really be. The Paragons with Duke Reid producing was always extra special and On The Beach is no exception, to call it sublime doesn’t even begin to do it justice. The Paragons had started out recording for Coxsone with Bob Andy on lead in the Ska era. By 1967 they were firmly in the Treasure Isle camp and Bob Andy had left, only to be replaced by another giant of Jamaican music, John Holt. 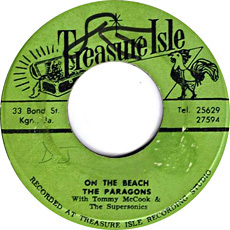 On The Beach is available on the LP of the same name on Treasure Isle records. Roy Shirley had been a founding member of the Uniques in 1966 alongside Slim Smith and Franklyn White. 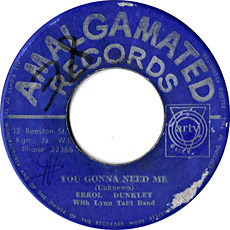 This first incarnation of the group disbanded in early 1967 and it was only later in the same year that Slim Smith got together with Lloyd Charmers and Jimmy Reilly to reform the group. 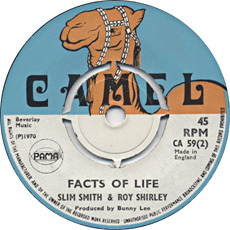 Roy Shirley in the meantime was enjoying success as a solo artist, however he teamed up with his old spar Slim to record Facts Of Life, a wonderful tune that serves as a perfect showcase for Roy’s idiosyncratic style. The Camel issue illustrated was a reissue from 1970. 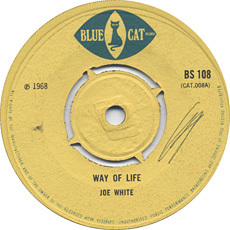 The original release was on a Jamaican blank and on UK Island 7″. Facts Of Life has not been re-issued at the time of writing. The most memorable Rocksteady tunes tend to be vocals as the style tends to lend itself to great harmonies and soulful solos. That said that there are plenty of great instrumentals and this is certainly one of them. There was a vocal version of Way Of Life sung by Glen Brown, Joe White and Trevor Shield but it’s the saxophone lead instrumental by Karl Bryan that is the real scorcher. 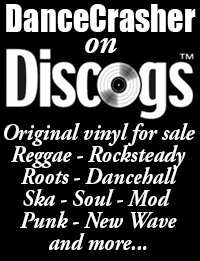 Way Of Life is on the CD issue of Various Artists – Jamaican Memories (TJACD014) on Trojan Records. There are some great vocals here but it’s the horn section that makes this song. The Jamaicans were Tommy Cowan, Norris Weir, Owen Hylton and Martin Williams they recorded extensively for Duke Reid in the Rocksteady era. Far and away there biggest tune was the 1967 festival Contest Winner, Ba Ba Boom, but Dedicated To You is perhaps their greatest moment. A cover of the Impressions’ Dedicate My Song To You this is so cool and soulful that it outdoes the original. 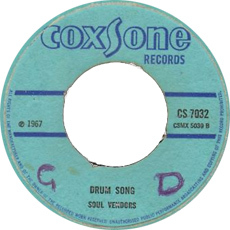 Frequently credited to Jackie Mittoo, the original issues in both Jamaica and the UK (both on Coxsone labels) credited Drum Song to the Soul Vendors. The Soul Vendors were a loose collection of musicians who formed the house band at Studio One from 66 to 68. With some changes in personnel they were known as the Soul Brothers up to ’66 and the Sound Dimension from 1968. Drum Song has been said to be based on Jazz musician Gerald Wilson’s Viva Tirado though the similarities are only really obvious in the 1970’s version by El Chicano which of course came out after Drum Song, so perhaps the influence was the other way round! 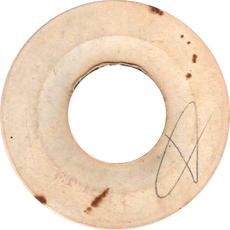 It is one of the most popular rhythms in Jamaican music with over 100 versions having been released since 1967. Drum Song is available on the CD Jackie Mittoo – The keyboard King at Studio One on Soul Jazz Records. After working extensively with Coxsone in the Ska years the Ethiopians were pretty much free agents by the time that Rocksteady came on the scene. They recorded with Sonia Pottinger, Glen Adams, back with Coxsone and just two sides for Richard Khouri’s Merritone label, under the supervision of Sam Mitchell and Keith Scott. This has got one of the greatest intros on any Rocksteady tune with piano and guitar playing in unison, by the time the bass comes in you just know this is going to be something special. Headache is not available at the time of writing. More from a young Errol Dunkley with Joe Gibbs. Love Brother was the flip side to I Spy (see number 95). 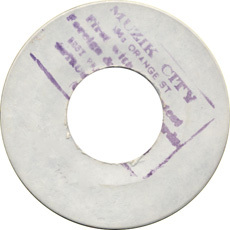 This wasn’t the biggest of the dozen or so tunes that the youthful Dunkley cut for Joe Gibbs but it’s certainly one of the toughest with an hard hitting rhythm that is far more aggressive than standard Rocksteady, so much so that it’s clearly showing the transition to Reggae that took place in 1968. Love Bother Love Sister is available on Explosive Rock Steady on Heartbeat (CDHBEA72). Fact of life is on Jamaican Gold cd / Doctor Buster Dynamite lp. Sir Lee’s Rock Steady party at Buckingham Palace. you’re gonna need me wa also released pon RIO:) wicked wicked selection!!!!!!!!!!!!!!! !